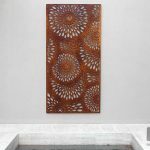 Tired of your drab courtyard? Is your apartment balcony dead boring? Relax – things are looking up! 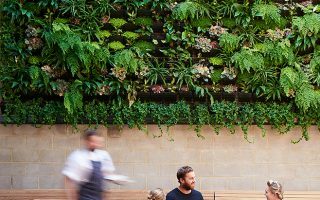 Our Vertical Garden systems by Wall Garden Australia are trending right across Perth, creating living, breathing visual feasts in concrete jungles everywhere. 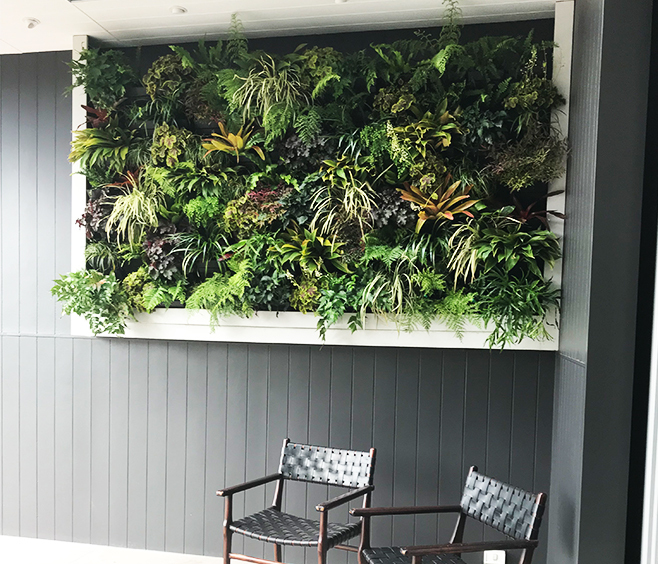 Bars, offices, homes, fences, sheds – any vertical surface is a blank canvas to unleash your imagination, from small vertical herb gardens to full size feature statements exploding in lush greenery and floral blooms. Green walls don’t just look luscious, they’re practically perfect too. So don’t hold back – it’s time to go all out with our Wall Garden Vertical Garden system. Satisfied plants – With more soil for each plant and better water retention, green walls promote better root ball growth, meaning you get lusher, greener, happier plants. Highly water efficient – The cleverly patented design of a green wall garden saves 80% more water than if you planted the same plants in the ground. 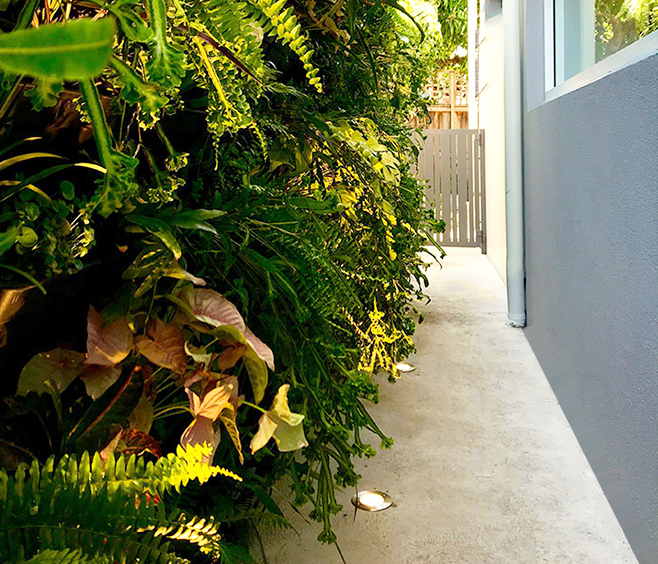 Luscious statements – Vertical gardens are space savvy, improve air quality, suppress noise and add ambience, making them perfect for tight spaces like apartment balconies. 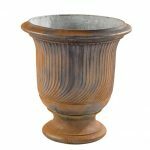 The pot, evolved – Plants grow vertically (as nature intended) and don’t need felt bags, meaning they’ll grow fuller and healthier for longer, produce less odour, and beless prone to drying out than pot plants. Flexible and functional – Wall Garden’s modular design lets you make your green wall display as big or as small as you like. If you change your mind or want to do something different later, just rearrange your herbs, veggies, flowers or plants as needed. 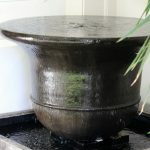 You can even take it with you when you move house. 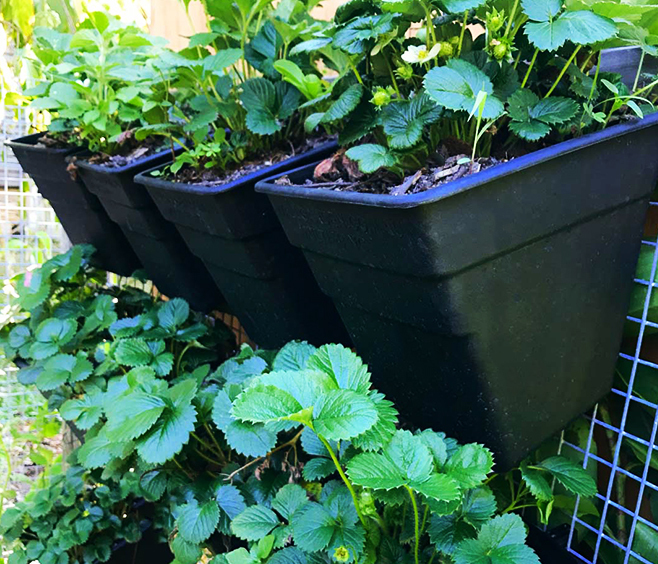 Simple to DIY – You don’t need to be a rocket surgeon to install your vertical garden! 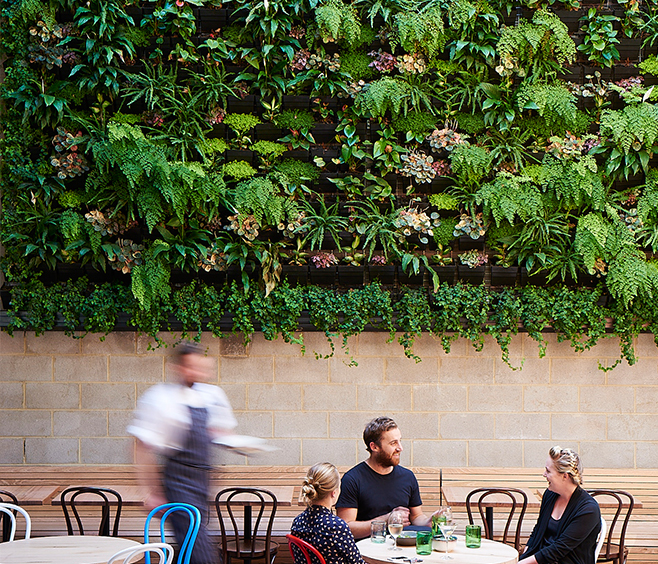 All you need is a screwdriver, drill and everyday supplies from your local hardware to bring your green wall to life. 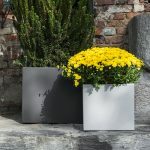 Affordable style – Our vertical gardens have a low square metre price, making them a cost effective option when compared to other systems on the market. Want to sava da moneyeven more? 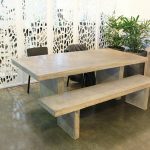 Create the backing system yourself using common building materials like steel or RIO mesh (concrete reinforcing steel) and you’re away. 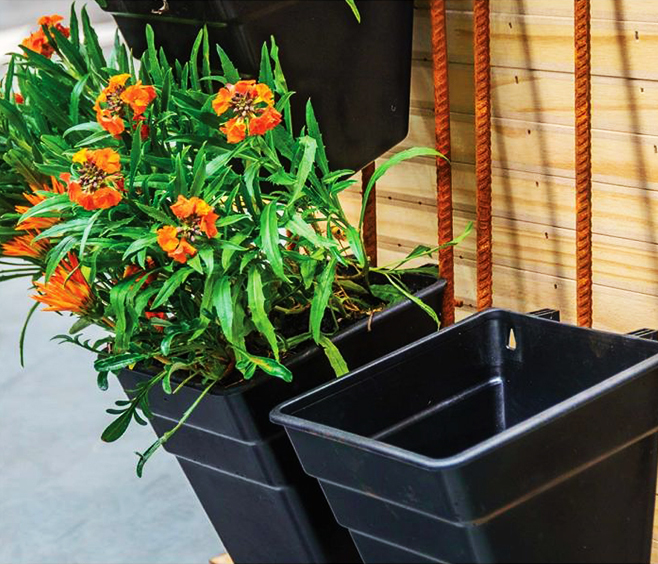 Easy to water – Simply water the top row by hand or fit a low pressure 13mm poly irrigation system to the top row. The 13mm poly pipe fits perfectly behind the green wall thanks to its specially designed recess – you can run drippers from top to bottom, allowing water to pass through vertically. 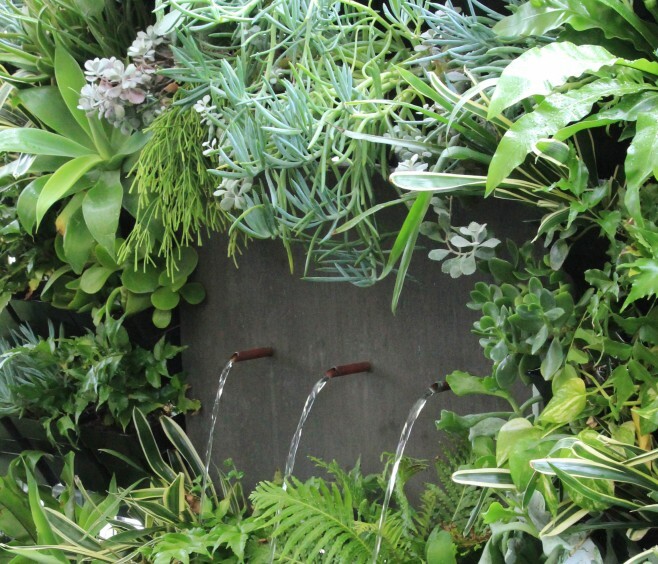 For more vertical garden inspiration see our in store display or visit our Pinterest page.